One would wonder about the nomenclature of Lake Mburo National Park which is known for the populations of Impala, Burchell’s Zebra, buffaloes, elands, topis among other wildlife that are encountered in Uganda wildlife safaris along with impressive savannah landscapes marked acacia woodland with protruding ancient Precambrian rocks which combine to make Lake Mburo National Park among the desired sites to encounter by travellers on safaris in Uganda. The naming of Lake Mburo like most of the African areas has got a legendary connotation. Initially, the two brothers, Mburo and Kigarama lived in the low-lying savanna plains that mark the area which is traditionally referred to as Kaaro Karungi – the beautiful land where the counts of the Bahima pastoralists and the King of Ankole converged to graze their magnificent long horned cattle that were bestowed to them by their godlike ancestors – the Chwezi centuries and centuries ago. One night Kigarama, one of the brothers dreamt that the area in which they lived was to receive substantial amounts of rainfall that would cause flooding thus consuming their lives and property. In the morning, he shared it with his brother – Mburo who took it for granted and trashed it. Since in the traditional Africa dreams were respected, Kigarama decided to vacate the place for the overlooking hill leaving his brother behind. Unfortunately, the dream came true and area experienced flooding, drowning Mburo and his property in the Lake that was formed by a pool of floods. In return the Lake was named after Mburo while the adjacent hill was named after Kigarama in commemoration of the two brothers. These features exist up to today and can be encountered by travellers on Uganda safari tours. 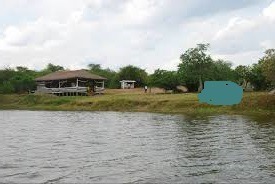 Lake Mburo apparently offers recreational boat encounters while the entire savannah park facilitates impressive nature walks and game drives and horseback safaris. The protected area can be explored en route to the gorilla trekking destination of Bwindi Impenetrable National Park among other destinations of south western Uganda.